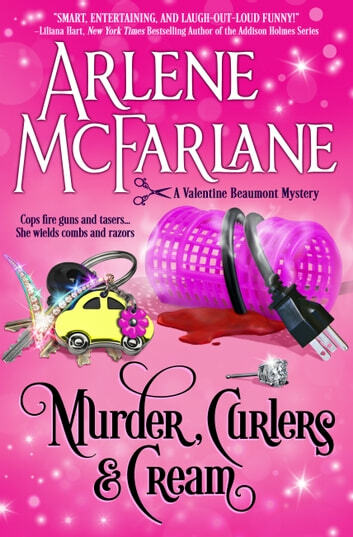 Murder, fire bomb, window smashing, mayhem, an anonymous threatening note, harassing phone calls, a kidnapping plus a cast of colorful, quirky, scary, dangerous supporting characters make this first book starring Valentine Beaumont, a MUST READ!!!! Valentine owns a Salon. She is trying very hard to make it a successful venture but seems to keep running into all sort of obstacles. The latest problem is when a client in found dead in the Ti Amo room when she is getting a facial. Why was the back door was found unlocked? Who would have murdered the client? Was it an inside job or did someone from the back alley come in then leave? How were there no fingerprints to help identify any viable suspects? The client was very outspoken, nasty and condescending to a lot of people plus known for her marital unfaithfulness. This makes for a ton of colorful suspects. Although Valentine is told by the handsome Detective Romero to leave the investigating to the police. She decides to check out a few things on her own. The story is captivating, unique and fresh with humorous shenanigans. It is creatively written with a well executed plot. When Valentine does volunteer work on the children's cancer unit in the local hospital, you will meet sweet but sickly children that she brings laughter and fun into their lives. 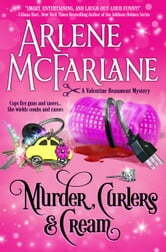 A very entertaining cozy mystery. This is the first book in the Valentine Beaumont Mysteries series. Looking forward to the next book to see what adventure awaits Valentine plus how her romantic prospects progress. I volunteered to read this story. Thanks to the author for the opportunity. My opinion is my own. This is a really funny book, and I found myself laughing outloud through it all. Great dialogue, especially when Detective Romero and Valentine meet. If you want to have a great time, read this book. Recommend highly. Laughed out loud, not something I generally do while reading. I would like to read the next two books. I like the way the author writes. Thoroughly enjoyed this book. A fun read with quirky but believable characters. Very descriptive characters. Really enjoyed the humor. Really a great Page turner. Kept you wondering who done it right till the end.